After eight weeks, AT&T finally relented and called the committees for AT&T Midwest and Legacy T back to the bargaining table. Unfortunately, the company made no improvement to their offer on jobs or employment security. AT&T needs to invest in CWA members, their employees, and in the communities they serve. A widely-shared article in The Guardian this week highlighted AT&T's continued offshoring and outsourcing despite the company's huge tax windfall and record profits. The CWA bargaining committees are urging members to continue to mobilize by using political pressure, media, and community involvement to tell the company that they must bargain fair contracts for all of our members. 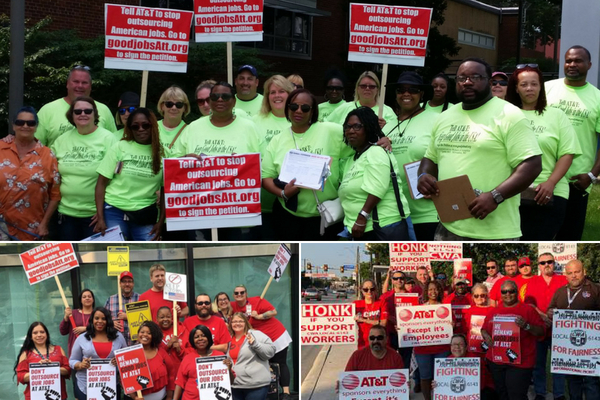 CWAers at AT&T Legacy T and AT&T Midwest, including members of Locals 4603, 6143, and 7250, are mobilizing for fair contracts. Today, Miami Airport workers from Envoy Air, members of CWA, were joined at a rally by State Senators Jose Javier Rodriguez, State Representative Robert Ascencio, Congressional candidate Debbie Mucarsel-Powell and other leaders and community allies to demand that American Airlines CEO Doug Parker negotiate in good faith with more than 200 employees at MIA who are earning as little as $9.48 an hour. At MIA, airlines and other service providers have faced mounting criticism around poverty wages. Envoy Air now plans to exploit a loophole in the Miami Dade County living wage ordinance exempting those directly employed by airlines to cut the pay of hundreds of wheelchair workers currently providing service to American Airlines passengers by 40%, from $16 an hour to $9.50. More than 9,000 CWA passenger service agents at the two American Airlines regional subsidiaries Envoy Air and Piedmont Airlines are in negotiations with the company to achieve living wages and fair contracts. Miami Airport workers from Envoy Air, members of CWA, were joined at a rally by elected officials, leaders, and community allies to demand that American Airlines CEO Doug Parker negotiate in good faith with more than 200 employees at MIA who are earning as little as $9.48 an hour. 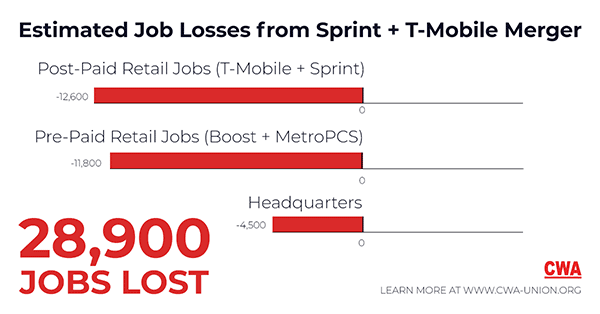 CWA is urging the Federal Communications Commission (FCC) to reject the proposed merger between T-Mobile and Sprint, citing evidence that the merger will result in the loss of more than 28,000 jobs. CWA’s comprehensive FCC filing outlines additional areas of concern with the proposed merger including the two companies' long history of labor and employment law violations; the loss of competition from the proposed horizontal merger; T-Mobile and Sprint’s failure to prove verifiable public interest benefits that will result from the merger; and serious national security concerns regarding possible integration of Chinese government-owned Huawei and ZTE equipment in their networks. The FCC should not approve the merger without verifiable and enforceable commitments by T-Mobile and Sprint to ensure that no T-Mobile or Sprint employees will lose their jobs as a result of this transaction. The FCC must also ensure that the companies will commit to return all overseas customer call center jobs to the U.S., abide by all labor and employment laws, and maintain neutrality in allowing their employees to form a union of their own choosing, free from any employer interference. Verizon Wireless workers in Brooklyn, members of CWA Local 1109, scored a huge victory on August 23rd when they voted down an anti-union “decertification petition” and chose to keep CWA as their representative. The company was hoping for a decertification in Brooklyn to slow the growing movement of Verizon Wireless workers across the country who want to join together to improve their working conditions. The workers fought off an extremely aggressive anti-union campaign, which included daily one-on-one “captive audience” meetings with an anti-union consultant, letters from the Director of Human Resources, and visits by the Chief Operating Officer of the company. The Brooklyn workers voted to join Local 1109 in 2014 and won a first contract in 2016 after joining landline workers on the 49-day strike against Verizon. As part of the recent Verizon contract extension, wireless workers won improvements in their grievance procedure, a $900 ratification bonus, and increased say on scheduling. After the Trump administration announced on Monday a preliminary agreement with Mexico on reworking the NAFTA trade deal, CWA President Chris Shelton pointed out that there is much more work left to be done to make sure a new agreement addresses the disastrous problems that NAFTA has caused for working families. The union presidents said that any new deal on trade must raise wages, ensure workers’ rights and freedoms, reduce outsourcing and put the interests of working families first in all three countries. 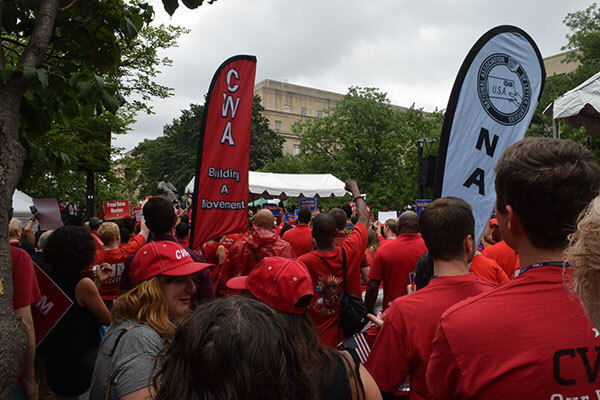 CWA members have been working hard to make sure the administration knows that raising wages and stopping offshoring of call center and information technology jobs must be a top priority in the agreement. “Working people must be able to review the full and final text and have the confidence not only in the terms of the deal, but its implementation, monitoring and enforcement,” the union presidents said. In a victory for NewsGuild-CWA members, the International Trade Commission voted Wednesday to reverse a tariff increase on uncoated groundwood paper used for newsprint. Newspapers have blamed the tariff increase for layoffs and for reductions in print editions. The tariffs were opposed by a wide variety of groups, including journalists, elected officials, and newspaper owners and managers. CWA President Chris Shelton contacted the commission in July, urging it to consider the effects of the tariffs on the U.S. news industry. 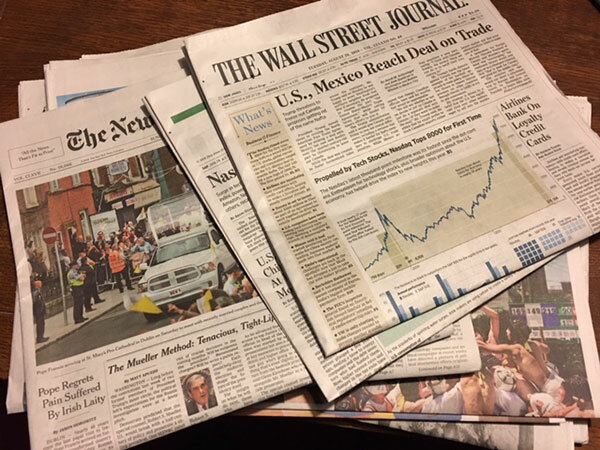 “Given the upheaval already facing the newspaper industry, I am concerned that steep duties on imported uncoated groundwood paper from Canada could make it even harder for newspapers to succeed in the current economic environment,” Shelton wrote. 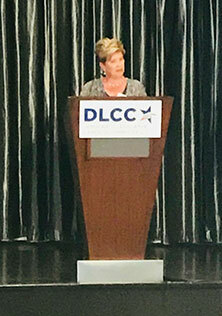 Betsy LaFontaine, Vice President of CWA Local 4621 and an AT&T customer service representative who works out of a call center in Oshkosh, Wis., highlighted the need for action to protect call center jobs at the annual meeting of the Democratic Legislative Campaign Committee last month. In her presentation, LaFontaine spoke about what the job of being a customer service representative is like, emphasizing that call center jobs can be great jobs for many communities – especially when they are CWA-represented union jobs. She spoke about the constant fear and pressure that hangs over workers as they see call center jobs being offshored, like AT&T has been doing. LaFontaine urged legislators present to focus on creating more customer service jobs here in the U.S. and protecting the ones that are still here by sponsoring legislation like the CWA-supported call center bills introduced at the federal and state levels. Good news for working people! A federal judge has ruled that President Trump violated the law by issuing a union-busting executive order to attack workers’ rights and deny more than 2 million federal workers their legal right to representation. Judge Ketanji Brown Jackson of the U.S. District Court for the District of Columbia ruled Friday that the Trump administration’s May 25 anti-union executive order on official time violated the First Amendment to the U.S. Constitution and the separation of powers as established in law. As AFGE geared up to fight President Trump in court, CWAers stood in solidarity with AFGE members at rallies in Washington, D.C. and across the country.